Ever so proud to be co-curating with Israel Rabinovitz an international exhibition in Beer-Sheva, Israel. Pictures from the opening, see below. I was asked to create playful and representative icons for a freelance collective’s website. I had so much fun creating these images in Illustrator. Some of my paintings and videos, accompanied by my lovely artist friends’ wonderful artworks too, are being shown in the Hungarian Balassi Institute of Zagreb, Croatia. Definitely worth checking them out! Show opening is on 11th Oct 2018. Back to my beloved island Brac in Croatia. This time I was super inspired by water. I had such a fantastic and arty time, surrounded by beautiful nature and lovely fellow artists. Check out the artworks I created during the residency under my ‘SIAC Artist residencies’ menu title. My wonderful artist friend’s, Ágota Krnács’ (http://krnago.wixsite.com/krnago) photo is being featured in contemporary photo book, Imitation of Life by Antonio Muratore and Silvia Colombo (https://www.loosenart.com/blogs/books/imitation-of-life). I am delighted to be her model and inspiration. Participating in a ‘Xmas’ exhibition with lots of other great young Hungarian artists. The best ever Xmas present you can give your loved ones is a contemporary artwork. Check out this show if you are in Budapest during the holidays. I’ve started writing blog articles for Gallery Tools, an online gallery connecting artists and gallerists effectively. I recently participated in a fantastic one night pop-up exhibition called Wild Art. Almost 700 people came to see a vibrant selection of all art forms, including paintings, installations, video art, poetry, performance and music. A brilliant initiative whose aim is to bring art closer to the public. The idea of ​​my mono-type series lies in the pure interaction of colour, creating new fields of existence: a synesthetic encounter. These colourfields, experienced through the senses, might recall a memory of a particular song, a scent, a deep feeling, or a landscape in the viewer. Our postmodern living and rational thinking sometimes disable us from such deep body-conscious experience. In my prints, I place particular emphasis on the visual manifestation of metonymy. Abstract expressionism and minimal art (“less is more”) inspired these works. Location: Mosaik, Budapest, XIII., Pannónia street 32. The exhibition is open till 31st October, 2017. I took part in this exciting performance in Puccs Gallery (http://puccsbudapest.com/), Budapest, Hungary on 25th May 2017. Find out more about this show in my Performance section. My new solo show is on until the 25th March 2017 in Fonó Music and Cultural Center, Budapest, Hungary. My solo show is on until the 29th Aug in Kelet Kávézó és Galéria, Budapest, Hungary. Come and have a look. My postcards will appear at an event called Xenophobia 2016 organised by MigSzol Hungary www.migszol.com on 29th April 2016 .There will be discussions on how to raise our voices against scapegoating and the xenophobic propaganda, as well as, the new(est) asylum legislation, the abolition of the integration support and also about structural homelessness in Hungary which affects more and more refugees too.As part of the event, my postcards will be distributed among participants to express thoughts, ideas and critique on the discussed topics, and later sent to members of the Hungarian Parliament. All the messages will be collected and sent together as a collective statement against the status quo.Here is the Facebook event page for more information in English and Hungarian:https://www.facebook.com/events/1008783519207805/Come and join us! In March I inaugurated my solo show called Invisibles – Viewpoint.Migration in eReSZ Kultúr Pont, Budapest, Hungary. Here are some pics from the opening. 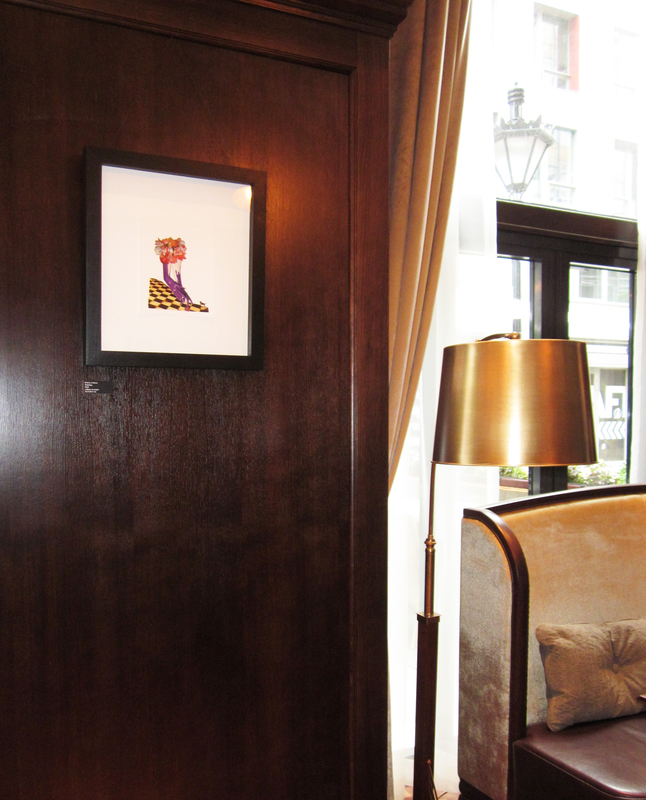 If you fancy an arty and culinary experience in one, please go and check out some of my works exhibited with three other artists’ works at Kollázs Brasserie & Bar in the Four Seasons Hotel Gresham Palace Budapest. Reserve a table and check it out. 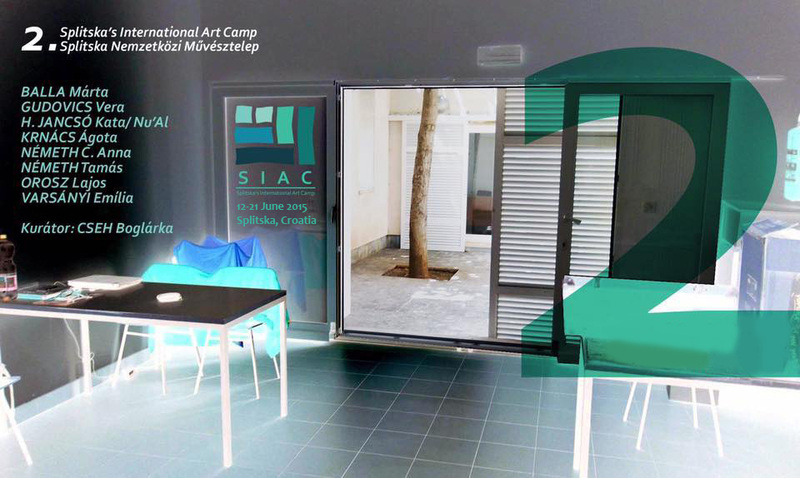 In June 2015, I participated in an artist-in-residence program in SIAC, Splitska, Croatia. Group show with Marta Balla, Russell Chater, Miyuki Kasahara, Calum F. Kerr, Josie McCoy, Rose Smith, Lex Thomas, Mimei Thompson and Clare Wilson.